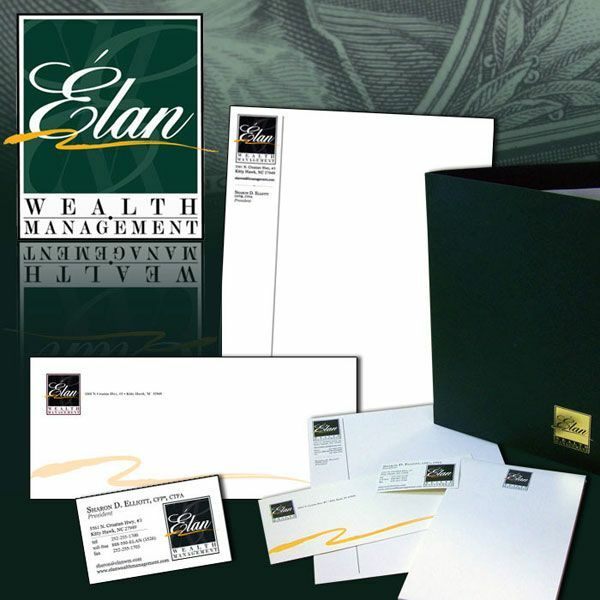 Elan Wealth Management Stationery collage. 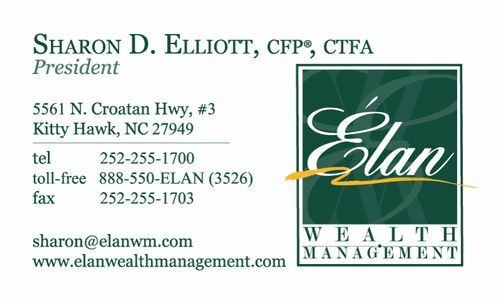 Stationery design for Élan Wealth Management, a financial management and consulting group in Kitty Hawk, North Carolina. 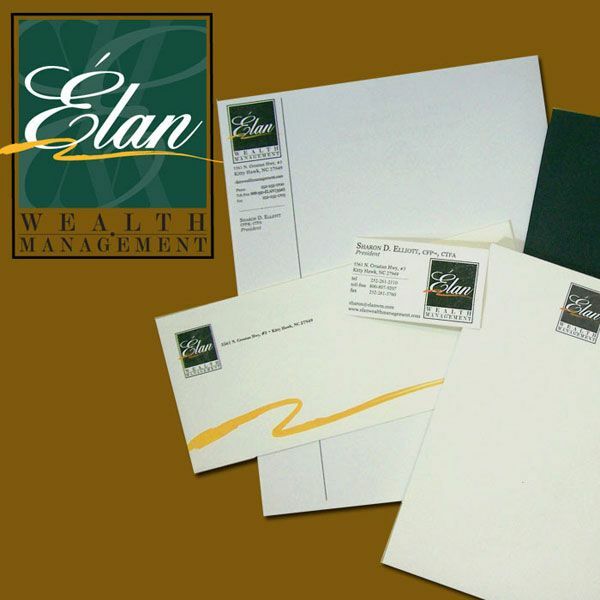 Stationery Set includes Identity design with Logo, Business Cards, Letterhead, Envelopes, Mailing Label and Memo/Notepads. We also designed and printed a beautiful dark green presentation folder with a gold emboss of the logo on the cover, which ties everything together nicely. 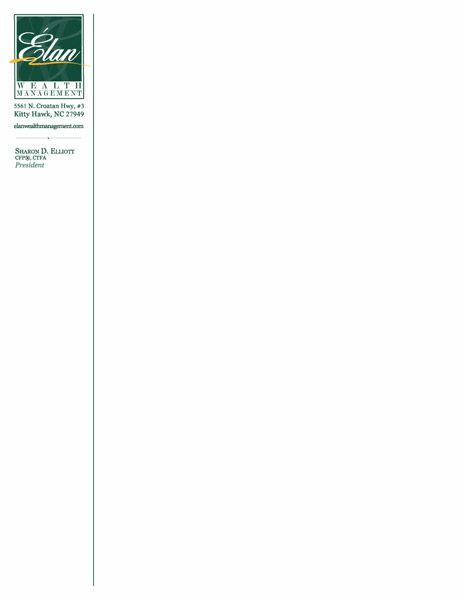 Thank you so much for doing such a great job for me!